This is a sample of cakes that Premier Pastry can provide. The choices are not limited to this listing. We will be happy to discuss any variations. a crunchy almond pastry & raspberry preserves. raspberry, strawberry, or apricot preserves. & layered with a fresh raspberry buttercream. truffle filling & raspberry preserves. buttercream & Belgian chocolate truffle filling. Rich chocolate cake with chocolate or coffee buttercream. & Belgian chocolate truffle filling. Caramelized walnuts & mocha buttercream are sandwiched between layers of chocolate & white butter cake brushed with espresso. Rich spice cake with currants & golden raisins soaked in rum. 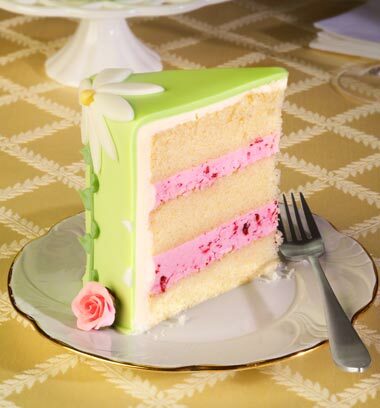 It can also be layered with marzipan in the English tradition. Orange cake brushed with a light Orange Rum syrup & layered with a passion fruit cream. 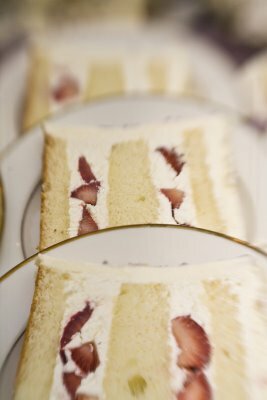 Vanilla cake layered with raspberry preserves, raspberry buttercream and chopped peaches. This gluten free cake can be layered with any variation of fillilings, from simple Amaretto buttercream to chocolate ganache or Apricot preserves with a Rum buttercream. Lemon butter cake may be layered with fresh lemon buttercream, vanilla buttercream or lemon curd. & either Grand Marnier or Amaretto buttercream. Chocolate cake layered with orange marmalade, Belgian chocolate & Grand Marnier buttercream.